littlestorybug.com Great felt board activity to promote healthy eating for preschoolers. Kids have fun guessing the fruits & vegetables in this preschool video. 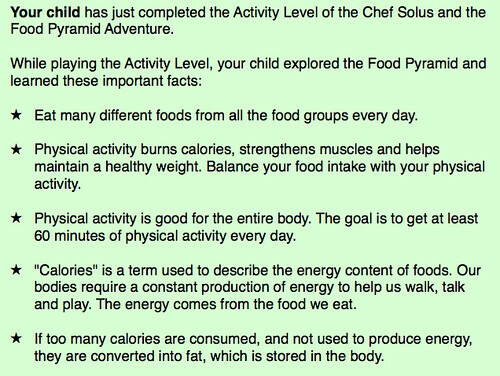 Sample printable for parents- your child completed level 7 of the Food Pyramid Adventure Game! 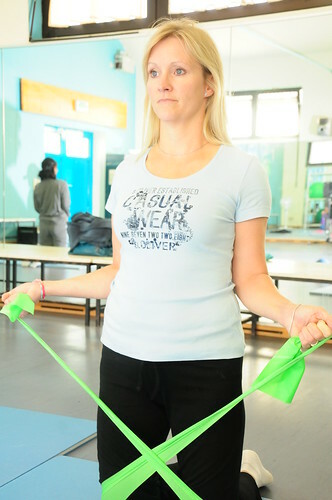 Here’s what they learned about physical activity, food and calories. and some FUN activities to reinforce what they’ve learned. You are your child’s most important role model, and your help is needed to continue to help them be successful. Therefore, we have created fun and informative activities that you and your child can do together. throughout the month. Try to be physically active most days this month! and find 4 boxes, bags, or cans of healthy foods and look at the Nutrition Facts label. Just below the serving size is the number of calories per serving. Which foods have the most calories per serving? Which foods have the least? 3. Go on a walk with your family after dinner. that nutrition is important and fun by posting it for the family to enjoy.